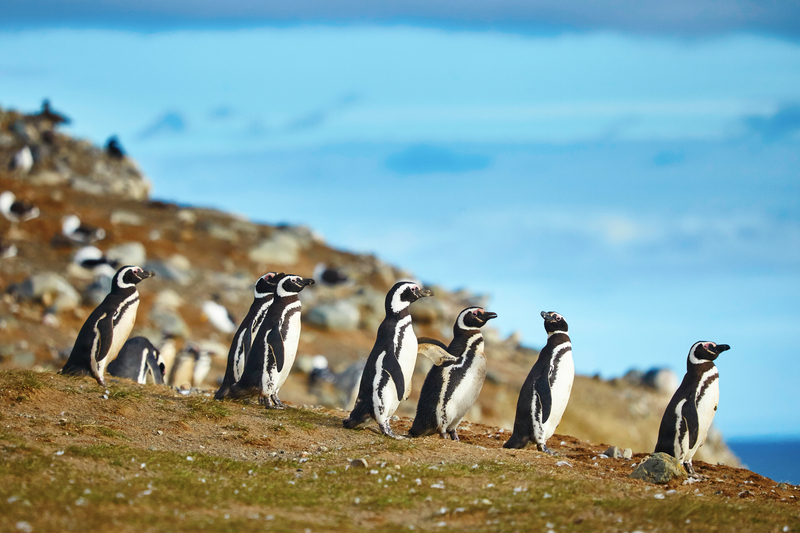 The Valdes Peninsulas is one of the most visually spectacular wildlife destinations in Patagonia and an exceptional place to visit by road or on an expedition cruise. 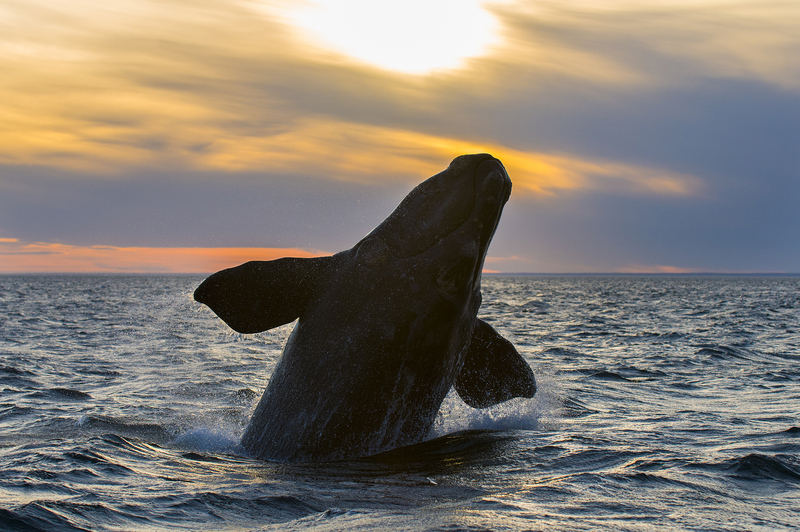 UNESCO-listed since 1999 and recognized as one of the world’s prime whale migration hot-spots, the Valdes Peninsula is Argentina’s pride and joy, a stretch of dramatic and marine-life enriched coastline which spans more than 400kms. Coves, bay and lagoons abound, making this a rewarding and varied wildlife-watching destination, home to an abundance of creatures both in and out of the water. 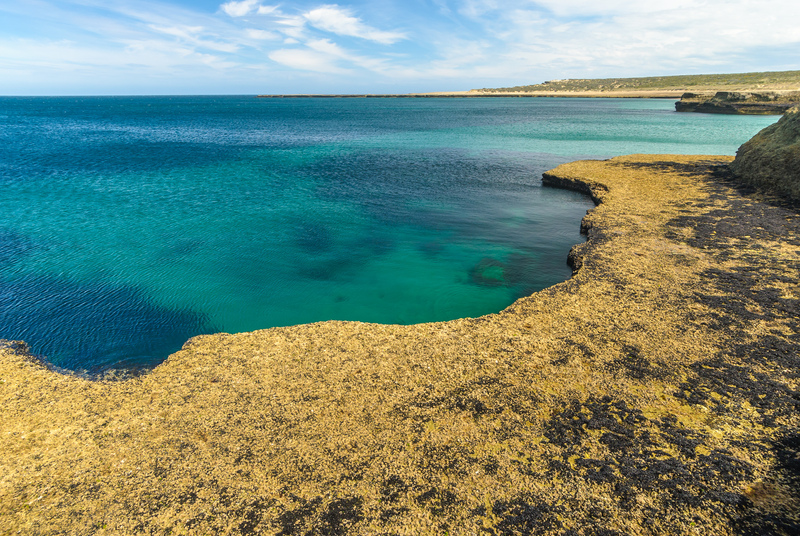 A narrow and dramatic isthmus is all that connects the Valdes Peninsulas to the Argentinian mainland, with access only a few kilometres north of Puerto Madryn. Although many Patagonia wildlife-watching tours concentrate on more renowned national parks, Valdes is a superb off-the-beaten trail destination, where you’re likely to see a host of unique and enticing animals no matter what time of year you visit. The Valdes’ treasure-trove of animals is the result of two diverging ocean currents colliding, the northern from the Brazilian tropics and the southern from the Antarctic region. The nutrient-rich waters create a pristine and thriving natural habitat for several types of whales (including the endangered Southern Right), dolphins, Magellanic Penguins, Southern Elephant Seals and Sea Lions, as well as nearly 200 different species of sea birds. One of the world’s most revered and protected natural marine habitats, the Valdes is most famous for its yearly orca feeding season. The unique conditions here have enticed a singular orca hunting technique that’s not seen anywhere else. The spectacle of a pod of ferocious orcas quite literally beaching themselves for a feed of seal pups is awe-inspiring and unforgettable and one of nature’s most spellbinding highlights. However, what makes the Valdes Peninsula so important for marine biology worldwide, is that it represents the most pivotal breeding ground for Southern Right Whales, the one whale species that’s suffered the most at the hands of the commercial whaling industry. Nowadays, the biggest risks these gentle giants face is from collisions with commercial vessels and snaring on fishing nets. This stretch of Argentinian coast is ruggedly beautiful with the mushroom-shaped peninsula boasting idyllic calm coves which attract pods of marine animals in astonishing numbers. It’s this distinctive topography that has created a world onto itself in the Valdes, an almost insulated haven where thousands upon thousands of animals retreat to. And because this is Patagonia, after all, land animals also include Guanacos and Patagonian Maras. Wildlife-watching trips to the Valdes Peninsula are organised by season and this is inarguably the best way to plan a trip. Simply pick your favourite amazing event to admire…and off you go! Whales – Whales head here to breed in the months between May and December and are undoubtedly the biggest crowd-pleasers and enticers of the Valdes Peninsula. The best tours at this time are those which include land and sea explorations, with some spots best reached by road and others, by boat. The waters lapping the shores of the Valdes Peninsula are also home to sunken vessels which make for fantastic SCUBA diving excursions. The coveted Southern Right Whales start arriving in June each year, with numbers getting progressively greater as the months pass. September and October offer the highest chances of the greatest numbers. Orcas – Although Orcas breed in these protected waters all year round, the famed feeding season occurs during the southern summer season, between late September and early April. High vantage points along the jagged coast at Punta Norte afford the best views of all and do keep in mind that orcas will wait for high tide to take their deadly dives ashore. Dolphins – Commerson’s Dolphins – often mistaken for orcas – live in these waters all year long although all other species visit in the hottest months, between December and March. Playa Union is considered one of the best spots for dolphin watching in Valdes and if you also head here in November you’ll see the magical synchronised swimming of Commerson’s mothers and new-born calves. Penguins – You’ll find penguins in Valdes from October right through to March, although the height of the breeding frenzy occurs in October and November. Head to Punta Tombo (175km south of Puerto Madryn) to see the largest rookery of Magellanic Penguins in the world, with specimens numbering in the millions during the height of breeding season. 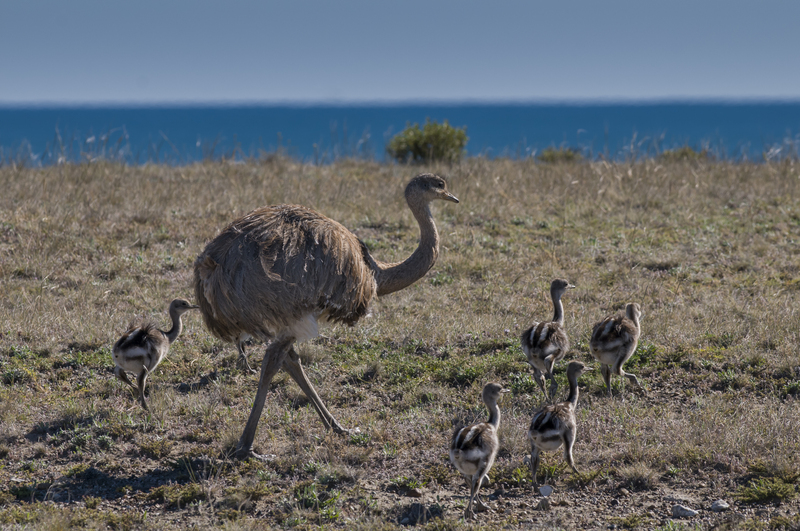 If you visit in November, you’ll see the waddling pups taking their first steps. 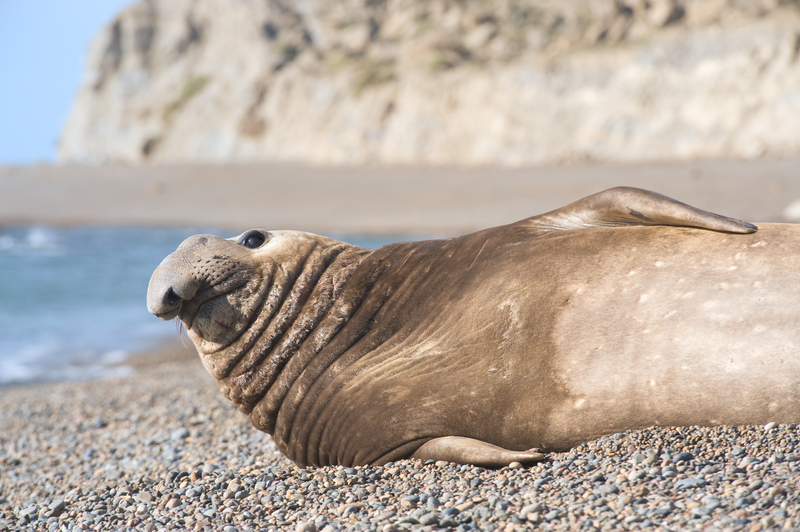 Elephant seals, sea lions and most sea birds are present in the Valdes, all year long, and number in the tens of thousands. Birds – All year round, the Valdes Peninsula and its surrounding region are inhabited by hundreds of species of unique birds (including the Choique (which resembles a small Australian emu), Nanco (a species of hawk), the Turkey Vulture and Royal Cormorant) as well as over 60 species of migratory birds. This is known, in fact, as a birder’s peninsula first and foremost. Hundreds of very beautiful Southern Flamingos come ashore to feed at low tide although breeding colonies can number in their thousands. Make sure to include a visit to the Bird Island Reserve on your visit to the Valdes Peninsula. Trelew – This small town of Welsh immigrant origin is on the way to Punta Tombo and is a very fascinating place to visit. The architecture and charming tea rooms make for a wonderful stopover if travelling overland through the region, yet the best attraction in town is the Palaeontology Museum, where you can retrace the steps of the dinosaurs who used to roam this incredible land. This is regarded as the most pivotal palaeontology region on our planet, once home to the largest dinosaurs of all. If fossils and interesting natural history tickles you pink, don’t miss this spot! Salina Grande & Chica – Some of the most stunning-sunset watching spots in the region, the pink-hued salt lakes of Valdes are found in the southern half of the peninsula and easily visited on a drive around the loop. Car transport is a must in this stunning but remote region of Argentina, with a convenient loop road that’ll see you take in all the best highlights of the Valdes Peninsula. Although day trips from Puerto Madryn are possible, there are actually a few very special accommodation options in the peninsula itself and an overnight stay here will allow you to get the most of the astonishing wildlife spectacle. For an exceptional experience, check out the Faro Punta Delgada estancia, which offers sensational views and a totally ‘middle of nowhere’ experience that superbly suits its astonishing location. Moreover, there’s a ton of places to visit here so give Valdes the time it truly deserves. Please do note that, as this is a protected nature reserve, some sections of the Valdes Peninsula can only be accessed when accompanied by a local naturalist guide. We’ll certainly be more than happy to organize for one to guide you through the most remote and spellbinding spots. The Valdes boasts a dry but cool climate and is wonderful to visit at any time of year although the most ideal – as far as wildlife watching is concerned – is the southern Spring season, from September through to November. Your trip will undoubtedly coincide with other Argentinian destinations, so choose your ideal time taking into consideration the above-mentioned wildlife highlights and the ideal times to visit your other places of interest. This is a perfect stopover from the Argentinian capital of Buenos Aires, to the southern Patagonian port town of Ushuaia, the springboard for cruises to Antarctica. Puerto Madryn is the ‘headquarters’ of the Valdes Peninsula, although Trelew is the town with airport connections to Buenos Aires (2 hours), Ushuaia (2hours) and Cordoba (2.5hrs). By road, it takes one hour to reach Puerto Madryn from Trelew. Marine wildlife lovers and anyone passionate about unique animal-watching in utterly mesmerizing locations, ought to keep a visit to the Valdes Peninsula right at the top of their wanderlusting bucket-list. To help with planning and booking your visit to Patagonia, with an included visit to Valdes Peninsula, contact us today.